Is that a Limburger sandwich or is the 22nd German Heritage Festival right under our noses again? Whether pungent cheese, savory sausage, tangy cabbage, or sumptuous strudel strikes your fancy, the annual pre-Labor Day picnic extravaganza has been the Oktoberfest before Oktoberfest for over two decades, thanks to DANK (Deutsch-Amerikanisch National Kongress) Chapter 71 and Lake Erie Fanfare. The festival features authentic German cuisine, music, dancing, costumes, and beer — natürlich. Once known as the Bavarian Festival before being rechristened, the overall tenor nonetheless best recalls Oktoberfest, which is traditionally the domain of that southeastern state — and particularly its capital of Munich — from mid-September through the first weekend of October. 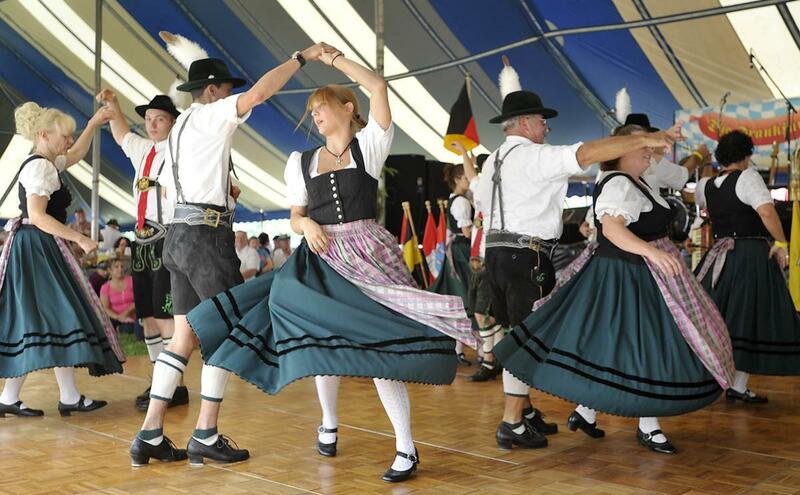 Expect to see dirndls and lederhosen, hear polkas (which originated in what is now the nearby Czech Republic), and taste beers brewed in accordance with the Reinheitsgebot, or German Purity Law of 1516, which dictated that only barley, hops, and water be used in brewing (yeast's existence was as of then unknown, but is an essential part of the alchemy).